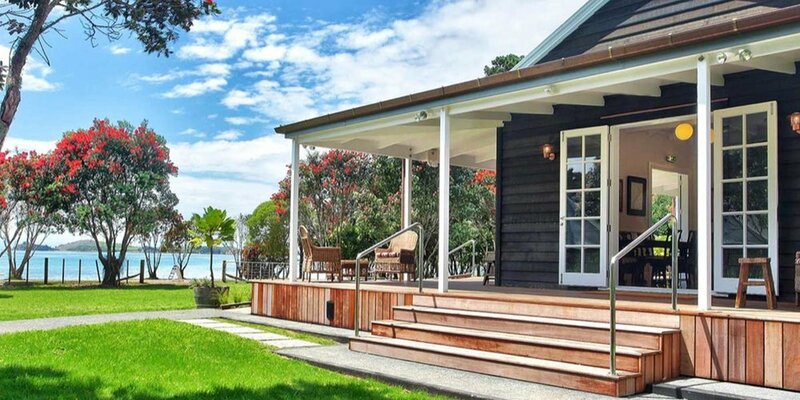 We have a proven history of success with leading New Zealand clients, across a broad range of industries, in temperature-critical environments. We ensure milk is stored at the correct temperature, every day, everywhere in NZ. Our smart systems and instant alerts with remote monitoring protect the client against significant loss. Within Fonterra cool store facilities, we manage, monitor and log the refrigeration process, asset status and movement in the chillers. We run the aircon and ventilation systems that keep residents comfortable in NZ’s leading retirement residential villages. Our services include strategic asset management, to drive performance, efficiency and savings, and engineering design services, with a focus on intelligent systems design to reduce energy usage. We have maintained critical pharmaceutical chilled facilities since 2005, including fail safe back up design and web-based alarm monitoring. The fully automated backup system, routine maintenance and remote monitoring give the client total peace of mind. We maintain the high volume processing and storage plant for NZ’s freshest meats. We have provided Wilson Hellaby with 24/7 refrigeration services since 2008, with zero lost production time. Our services include full planned and reactive maintenance, energy management design, and design and development for plant expansions. We partner with this leading winery to constantly improve operations with cutting edge refrigeration design systems. We have upgraded their plant, designed systems to match increasing harvest volumes, provided redundancy design to allow for their remote location, and created energy savings through initiatives. We have significantly reduced power consumption through our smart Ravo system. Our systems optimise the cool stores, monitoring and logging power and refrigeration operations 24/7, and ensure that public, staff and product safety are never compromised. We’ve helped Sawmill upscale with a high quality, 100% reliable refrigeration plant. Our efficient, energy conscious and practical refrigeration plant cools their product during the fermentation process, using the latest technology to generate efficiencies and deliver total reliability at full food safety standards. We maintain freezers that store valuable Bioscience items at minus 80 degrees Celsius. Our responsibilities include full design, build and maintenance solutions for large-scale laboratory cool rooms, including specialist freezers and incubators. We help Hallertau achieve more precise brewing and energy cost savings. Our retrofit installation provides the head brewer with remote visualization of his fermentation tanks and the ability to adjust individual temperatures from anywhere. We also designed an innovative use for the waste heat, creating a lovely warm customer seating area! 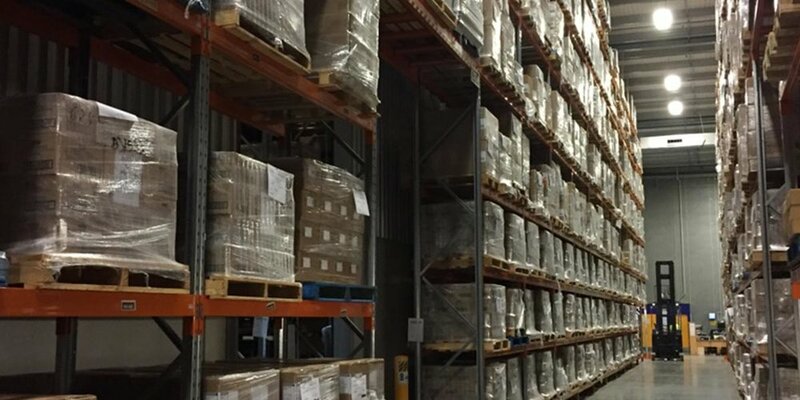 We have designed and installed the entire Big Chill national chilled and frozen depot network. We maintain the national depot network, provide online service support, and continue to innovate and upgrade their equipment to ensure each system stays in line with current technology. We designed and built a state-of-the-art 5000m3 freezer and load out area. The completed project is a reliable and energy efficient system using the latest technology. It can be performance checked and serviced remotely, reducing the need for personnel on site, in turn reducing the health and safety risk in a commercial environment. We replaced a critical plant and kept it running 24/7. Existing cement pump cooling ductwork and silencers had corroded away in a harsh marine environment. 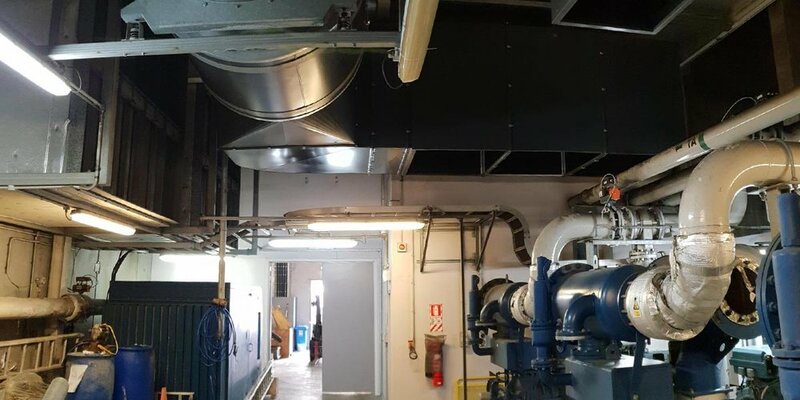 We were called in to redesign and install new treated ductwork, silencers, and plenums, while adhering to extensive Health and Safety requirements, and timing the work to ensure no operational shutdowns. We designed and installed ventilation and air conditioning with integrated controls package to ensure long term reliability and ease of use. With space and budget constraints our design needed to be smart and efficient. The use of special corrosion inhibiting coatings on the coils, stainless steel duct, single variable speed fans and smart controls has provided a reliable solution for years to come. We partner with LEP Construction to design and deliver safe and healthy childcare centres for Kiwi kids to grow and learn. With an energy conscious focus and a thorough knowledge of building code requirements, our facilities tick the boxes.